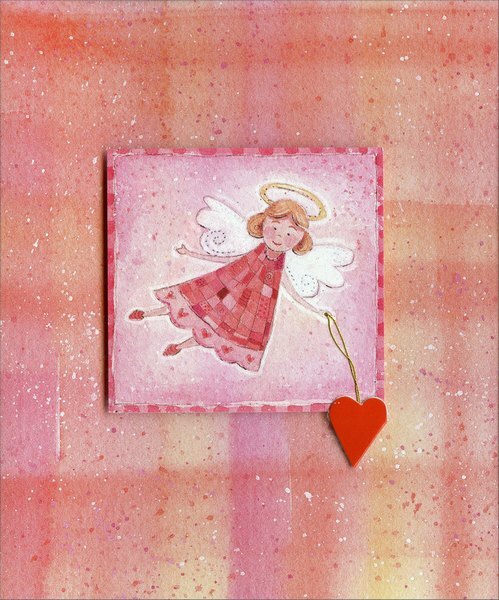 A cute angel holding a gold string and die cut heart appears on the square embellishment that floats just above the front illustration of this Valentine's Day card. Shades of pink and orange with splashes of red and white serve as the background for the framed angel illustration. No additional postage is necessary when mailing this card.